How to recover mistakenly deleted photos on your android smartphone: If you ever delete a photo by mistake or have your smartphone wipe out all the photos from gallery, then, there is a way out there to recover mistakenly deleted photos on your android smartphone. You just have to download one app from the play store and you are good to go. 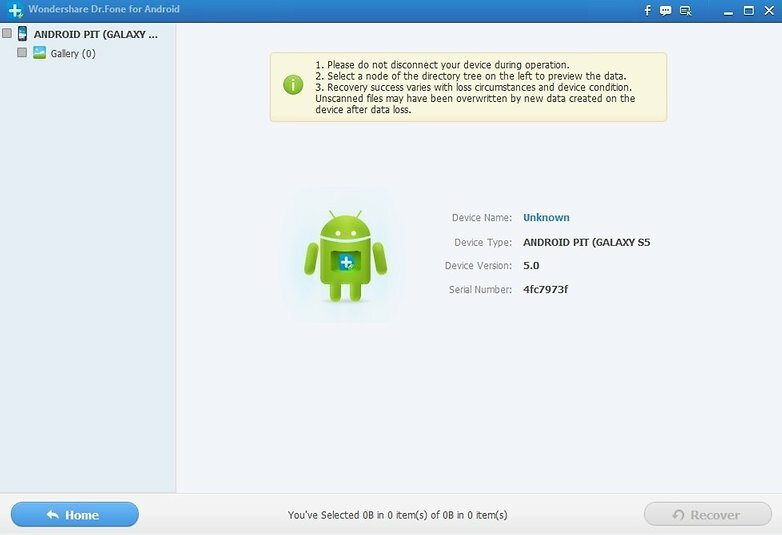 Dr.Fone is the world’s first data recovery software for Android smartphones and tablets. Compatible with more than 6000 android devices, it can also recover videos, contacts, messages, call logs and more. Download a free program, ‘Dr.Fone’, available for Android. This program is by Wondershare. Install and Run it on your computer. There are some other programs available too, but Dr.Fone gives you the best results. Once your launch the program, you will have to register yourself. 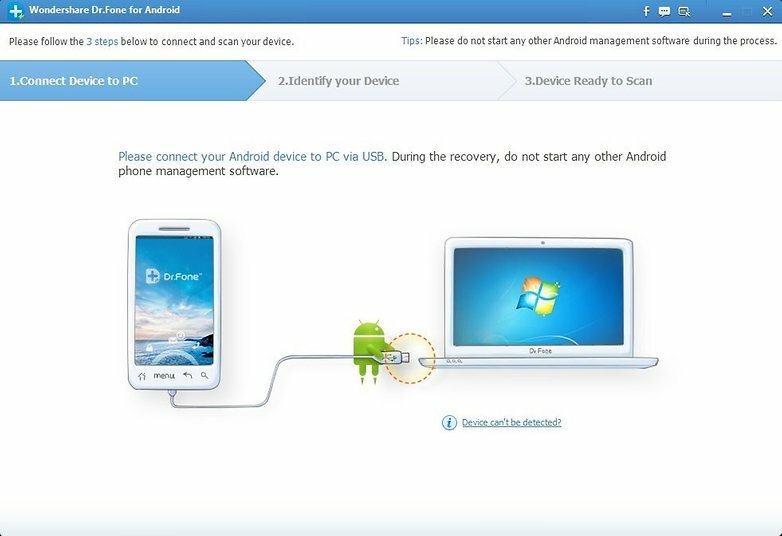 For connecting the smartphone to the computer, you will have to enable USB debugging on your cell phone. To enable this, go to the ‘Settings’, next tap ‘About Phone’ and go to ‘Build Number’. Tap it repeatedly until a notification appears which says that Developer Options have been enabled. ** If the software cannot detect your phone, ensure that you install the driver on your computer first. Next, restart your smartphone and connect it with the software again. In the main settings, you’ll find ‘Developer Options’ at the bottom. Scroll that until you find ‘USB Debugging’ and check the box beside it. 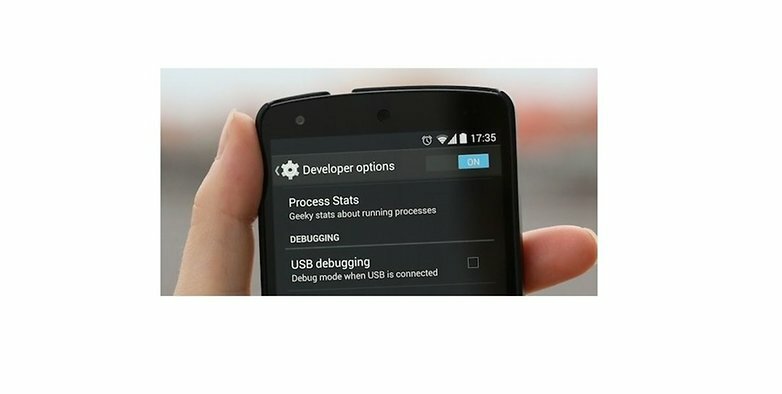 You’ll find a notification by Dr.Fone screen, which says that USB debugging has been enabled. 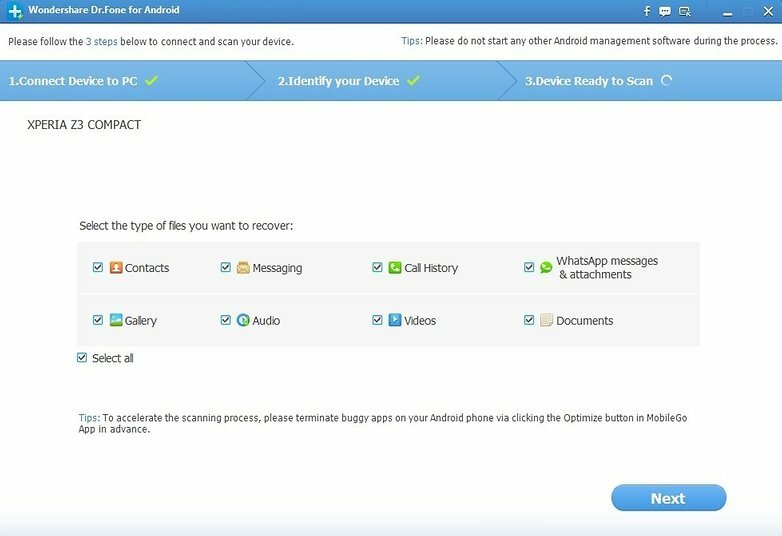 Once you launch Dr.Fone for Android on your smartphone, you can select the following categories of deleted files. If you’ve lost more files, tick as many categories as you like. Most of the recovery programs are able to save a whole variety of crucial data. In the next step, you have to scan for deleted photos. If you want to quickly recover your lost pictures, click the ‘Deleted Files’ option. For this, you’ll have to accept RSA key prompt on your cell phone. [Click ‘Always Accept’ for making it easier.] By accepting RSA, you make an active connection between the two devices secured. Once that is done, Dr.Fone would analyze your smartphone and reboot it. You probably might receive a message on your computer saying your phone is connected again. You can ignore it. Besides, grant all the request permissions for Dr.Fone to function properly. Once your phone is analyzed, you will get the scan results on the screen. You can check the boxes of the photos that you want to save. Next, hit ‘Recover’ and you’re done. You’ll successfully recover mistakenly deleted photos. We can accidentally format the SD card or delete some perfect photos. On iPhone, we do have an option of recovering the photos while for Android, we don’t. 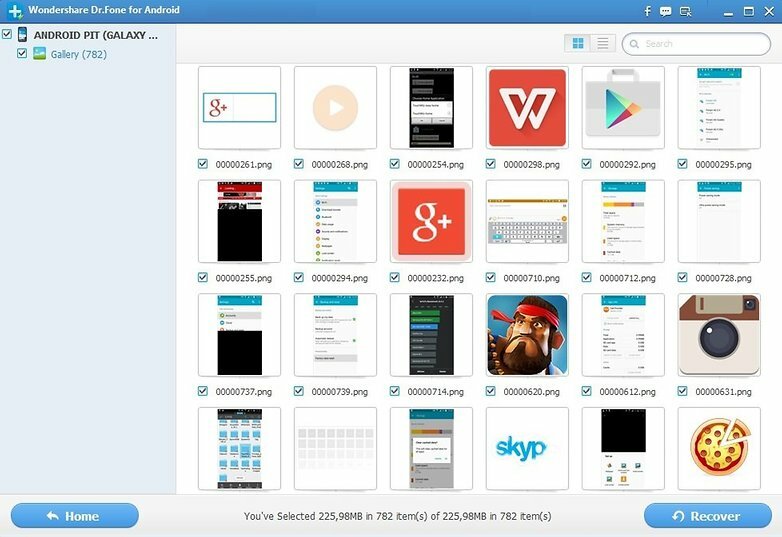 So, Dr.Fone is the best way to recover mistakenly deleted photos on your android smartphone without any quality loss. Have any suggestions on “How to recover mistakenly deleted photos on your android smartphone”, do share them in the comment section below!